ViewSonic Inc. primarily famous for it’s computer displays has also jumped on the bandwagon of tablets. 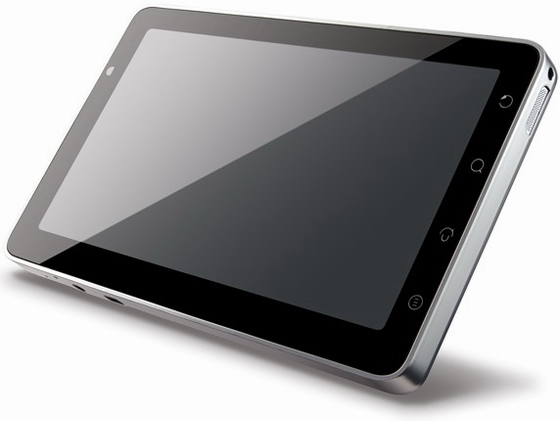 It has launched a 7 inch Android tablet running on Android 2.2 (Froyo) that doubles as a large size phone too. The new Android based tabler from ViewSonic is named “Viewpad 7”. The tablet has a 7 inch screen with a resolution of 800 x 480. The tablet will run on Android 2.2 (Froyo). It will include normal phone functionality. It will have connectivity options like 3G, A-GPS and Wi-Fi. It will include apps like document reader and e-Book reader. It will have dual cameras. One decent 3 MP camera and another front facing VGA camera for video calling. It will have expandable memory through MicroSD card reader. The device is expected to be priced around $540 and should be available around October 2010.